A podcast to inspire open-mindedness. ✔︎ Discussions with authors about their life, work, and ideas. ✔︎ Audio-articles to help you think differently. ✔︎ Plus, a NEW book club for 2019. You can listen, subscribe, or rate on your favorite podcast provider! 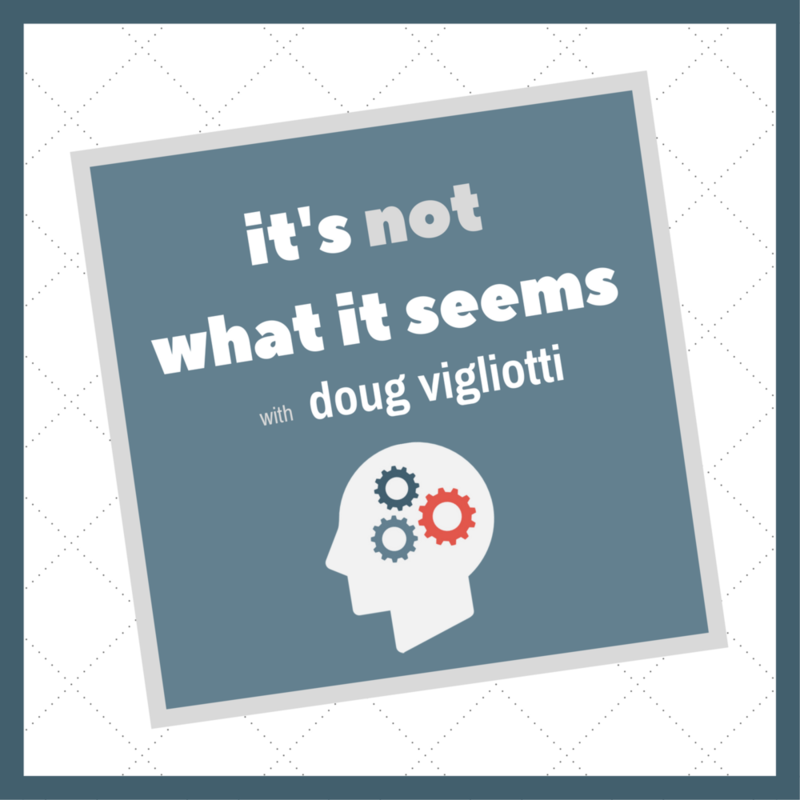 In this episode of the, It’s Not What It Seems podcast, my brother Darron interviews me about my new book, The Gap: The Little Space Between What You Know and Don’t Know. This episode is the first of two from our conversation and you’ll get a foundational understanding of what the book is all about. In the part two, which will come out closer to the book’s release on June 11, 2019, we’ll dive deeper into the specific concepts inside The Gap. Meet the Gap: the little space between what you know and don’t know. It's the thing sitting between you and what you want; it’s a small thing that amounts to everything. Are you stuck in your career, relationship, education, or business? Maybe you’re frozen by the same old habits and opinions or trapped in the story you’ve been telling yourself for the last 20, 30, or 50 years? That’s okay. It’s normal. We only know what we know. We’re all stuck on something. In a world overflowing with competing information, knowing who to turn to, what to watch out for, and what to focus on has never been more difficult. The Gap will help you turn obstacles into opportunities by identifying hidden forces and blind spots that prevent you from achieving your goals. Drawing on real-world examples, Douglas Vigliotti empowers readers with thought-provoking questions and simple strategies to cut through the noise of the information age, challenging you to look at the world from a whole new perspective. You can pre-order the book here! Would you like to see my book recommendations? Join my private reading list. Thank you for listening! Don’t forget to subscribe and rate “It’s Not What It Seems” podcast on your favorite podcast provider.